Young entrepreneur Axel Chadwell has everything he wants, and soon he’ll have everything he needs. 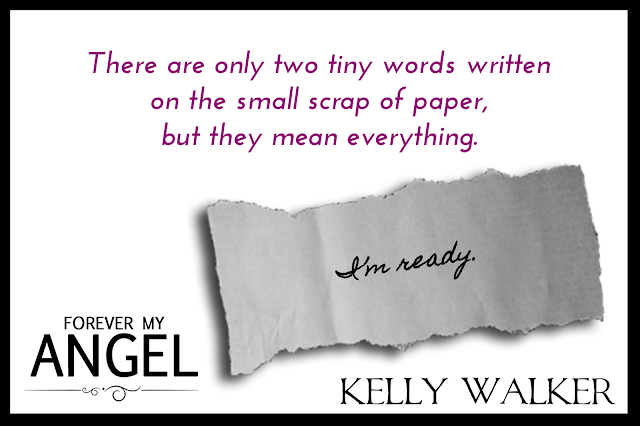 He’s just waiting for the right moment to propose to the love his life, Tess Sterling, otherwise known as Angel. They’ve survived insurmountable odds, and come out stronger on the other side. Everything is absolutely perfect. Until the mother that abandoned him eighteen years ago shows up with a brother he didn’t know he had in tow. All because Angel couldn’t leave well enough alone. 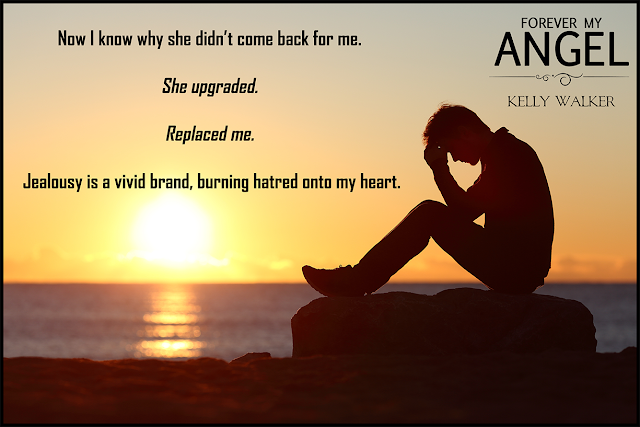 Now, instead of planning a wedding, he’s got to figure out how this new family fits into his life, and how the secrets they’re hiding may destroy everything he’s worked for. Before he can move forward with Angel, he’ll have to confront his past once and for all. I feel bad waking her. And I don’t blame her for being cranky. I’ve woken her with some excuse or another every few hours all night long. The discharge papers said she should rest, and that it was fine for her to sleep, contrary to popular belief about concussions, but I just have to know she’s okay. Now that the adrenaline has faded, the fear of her being taken from me has settled in and I’m trying to quell my crazy but it’s an uphill battle in reverse. She rolls her eyes, both of them open now. “Well why didn’t you say so?” Her hand covers her mouth as she fails to suppress a yawn. Once she’s shifted so she’s sitting against the pile of pillows propped against the headboard, she reaches for the tray, her hand freezing in midair. “Iced coffee and coffee-coffee?” One eyebrow lifts in amusement. I shrug. “I didn’t know which you’d be in the mood for.” She usually drinks a steaming hot cup of coffee first thing every morning, and then iced coffee throughout the day, but sometimes she goes right for the iced stuff. “I thought your stomach might be upset from the meds.” The doctors gave her some mild painkillers, stating she’d likely be pretty sore. “Okay, one last question.” She gives me a somber look. “What the hell did those eggs ever do to you?” Her seriousness dissolves into a face splitting grin, and then she’s shaking with futile attempts not to laugh. Seeing her so relaxed--even at my expense--eases something inside me and I breathe a little easier. She’s really okay. My Angel is going to be fine. And so are we. We’re going to weather this storm and come out stronger on the other side.